Highlands Worship is a collective team of pastors, musicians, worship leaders, and songwriters who serve every week at Church of the Highlands. Pastor Chris Hodges planted Church of the Highlands in 2001. Now with multiple locations throughout Alabama, we have seen God move powerfully in our church, reaching thousands of people. 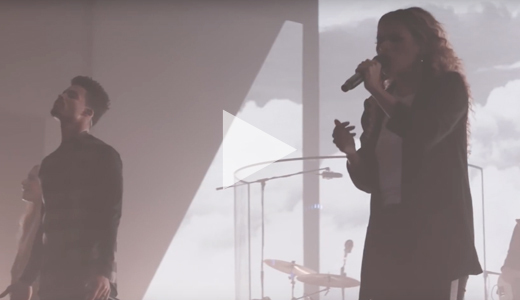 Highlands Worship focuses on creating an experience where authentic, Holy Spirit-inspired worship connects people with the heart of God. Led by Pastor John Larson, the worship team is motivated by the core belief that just one second in the presence of God can change a life forever. Love God, Love People, Pursue Excellence, and Choose Joy are the four values at the core of Highlands Worship. We are passionate about the presence of God and live a life that reflects the love of Christ. We grow relationally with the team and have a genuine love for people. We excel in musicianship and continually develop the talents that God has given us. We endeavor to have the mind of Christ, and approach life with an attitude of humility and an atmosphere of fun. Our team has a passion for leading others to that place where they can encounter that single moment in God’s presence, and we see it as an honor to be a part of that life-changing experience. And our goal is to represent Jesus with four core values – Love God, Love People, Pursue Excellence, and Choose Joy – as we become vehicles to usher in the Holy Spirit. We invite you to check out our music and resources and pray that they help you draw closer to God.